The Pittsburgh Penguins are already loaded at the defense position, but the team is finding it harder and harder not to notice Finnish defenseman Juuso Riikola, who has dominated the preseason with his impressive play. The 24-year-old did it again today with a highlight-reel goal (link here) in a 7-3 victory over the Columbus Blue Jackets. However, it isn’t just his offense, a few minutes later Riikola made an impressive defensive play on the other end of the ice. Jonathan Bombulie of the Tribune Review writes that while it’s hard to imagine Riikola bumping one of the team’s top-six defensemen, his well-rounded game may be having Pittsburgh management consider keeping eight defensemen instead of holding onto 14 forwards. After struggling early in preseason, Philadelphia Flyers defenseman Robert Hagg is slowly working his way back “up to speed,” according to NHL.com. Head coach Dave Hakstol has been impressed with the physicality that the 6-foot-2, 204-pounder brings, but has worked Hagg hard on other areas of his game that have been weak, including managing gaps and being more clean with the puck. Hakstol has frequently played Hagg in the preseason, so he can work on those key skills. 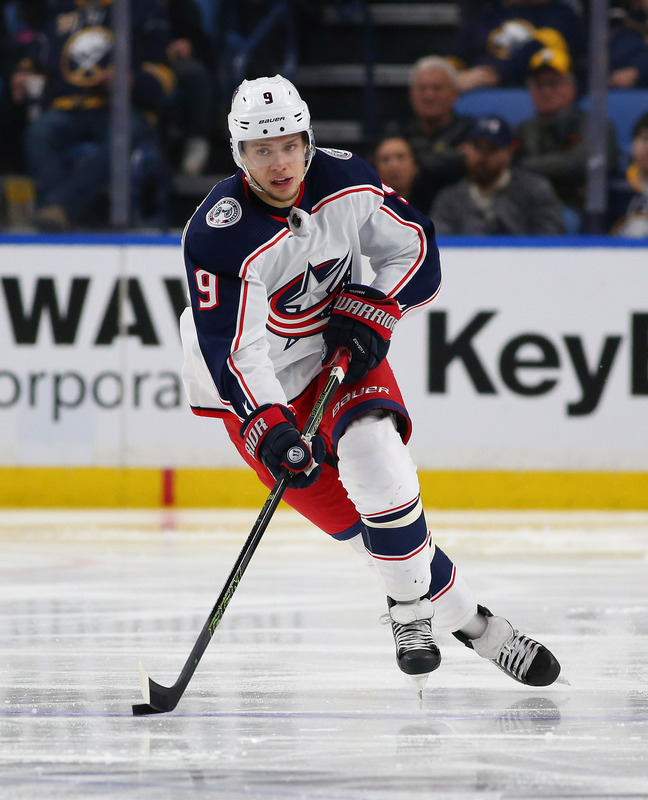 Portzline writes that there is no traction on extensions for either Artemi Panarin or Sergei Bobrovsky as they enter the final year of their respective contracts. The duo will almost certainly enter the season without a new deal, as has been expected for Panarin, and where things go from there remains unclear. It has already been noted that the team is not actively in talks with Bobrovsky, and that could partly be due to Portzline’s assertion that he is looking for “Carey Price money”; the Canadiens’ star goaltender signed an eight-year, $84MM extension last summer. However, given the almost immediate regret felt by Montreal over that contract, the Blue Jackets may be content to ride the season out with Bobrovsky and see whether his performance and health dictate similar terms. Although Bobrovsky is an elite goaltender, he would share next summer’s market with Pekka Rinne, Mike Smith, Semyon Varlamov, Cam Talbot, Jimmy Howard, and more and may land his biggest payday if he sticks with Columbus. Meanwhile, Portzline also adds that the likelihood of a Panarin trade prior to the season is as equally unlikely as an extension. 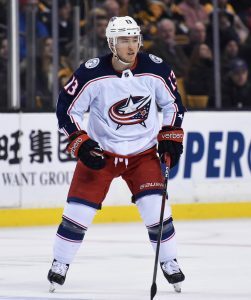 Despite talks all off-season long, it seems like no offers got past what he describes as the “futures” stage, while the contender-quality Blue Jackets would prefer immediate help in any Paranin deal. A trade could still happen at some point during the season, and even seems likely, but it won’t be anytime soon. Panarin has not even supplied GM Jarmo Kekalainen with his list of preferred destinations yet. Although, Portzline suggests the New York Rangers, New York Islanders, and Florida Panthers could top that hypothetical list, while Panarin was previously linked to the Boston Bruins and Chicago Blackhawks. Portzline also writes that the team has stayed in contact with Rick Nash throughout this off-season and even made an offer soon after the market opened. They have also had face-to-face meetings with the former Blue Jackets superstar about returning to Columbus. While Nash asked teams for space this summer as he decides on his playing future, being careful to consider his mounting injuries, if he does choose to keep playing it would be for a legitimate Stanley Cup contender. The Blue Jackets and Boston Bruins continue to be the most likely destinations. Anthony is a skilled, young player with world-class speed, who has played in over 200 NHL games as a 22-year-old and was one of the league’s top rookies just two years ago. He is eager for an opportunity to improve as a player and we think he has a chance to be an impactful addition to our hockey club. Thursday: After failing to receive a qualifying offer from the Chicago Blackhawks last week, Anthony Duclair became an unrestricted free agent and could sign anywhere he chose. 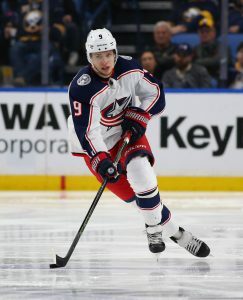 That landing spot is apparently the Columbus Blue Jackets, as Renaud Lavoie of TVA Sports reports that the young winger will sign a one-way contract worth a league minimum $650K for 2018-19. Duclair would have cost the Blackhawks nearly twice that much, as his qualifying offer would have had to be $1.2MM. Duclair, 22, will be on his fourth NHL team when he joins the Blue Jackets organization. Originally drafted by the New York Rangers, he was originally part of the trade that brought Keith Yandle from Arizona in 2015. He proceeded to score 20 goals in his first season with the Coyotes, but hasn’t come close to replicating those numbers in the years since. After a midseason trade brought him to Chicago this year, he registered eight points in 23 games and didn’t have quite the impact the team had hoped. $1.2MM (or more, as Duclair was arbitration eligible) was deemed too high a price for the Blackhawks to pay. In Columbus, the speedy winger joins a deep forward group that won’t be able to guarantee him a role in the top-nine. Though he has certainly shown the skills to perform at that level in the past, he’ll have to do it again before head coach John Tortorella—who was actually fired from the Rangers job just a month before they selected Duclair in the first place—gives him an increased role. 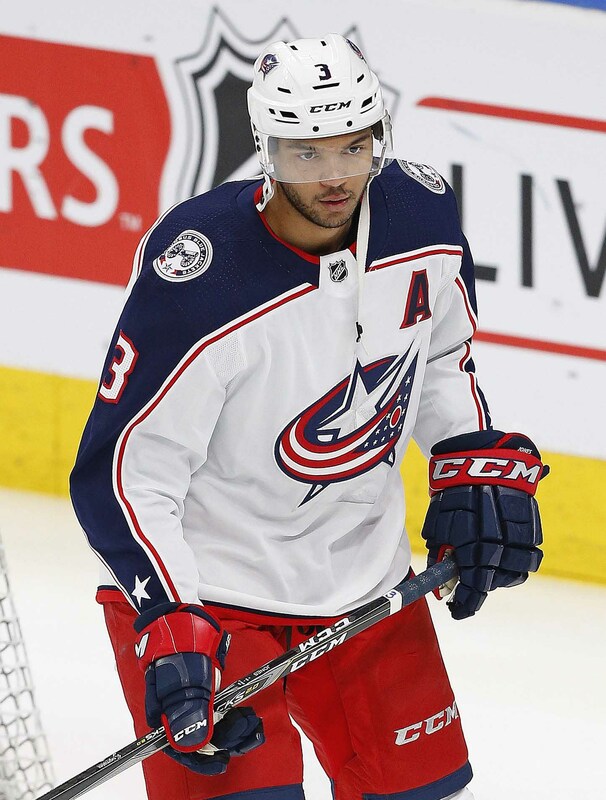 For the Blue Jackets though this is a low-risk, high-reward move that could turn out to have huge benefits should Duclair find his game once again. At the very least they likely have another trade chip, as there were other teams interested in Duclair when he hit the open market. Because he signed with the Blue Jackets while he is still so young, Duclair will actually be a restricted free agent when the contract expires next summer. This time around the qualifying offer will be just above league minimum, meaning Columbus or any acquiring team would be able to retain him for a reasonable amount.